News How to use Tango SLK-06 emulator to program Toyota H all keys lost? 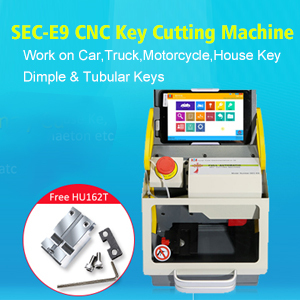 News Tubular key cutting: Done by SEC-E9 key machine! News Why do you buy Lonsdor K518S instead of SKP900? Newest 2017 SKP1000 Tablet Key pro claims to replace Superobd SKP900. That means SKP1000 can do what SKP900 does and can do more that SKP900 cannot do. Reading below comparison table to have a better understand. SKP1000 is multifunctional, so the workable vehicles differs from one function to another. Why Lonsdor SKP1000 Tablet Auto Key Programmer replace SKP900 key pro? (SKP-900 Update) How to update SuperOBD SKP900 Key Programmer? Post on SKP1000 Tablet Auto Key Programmer Firmware Update Procedure. Is Lonsdor k518ISE better coverage than obdstar X300 DP (key master DP)? SKP1000 Key Programmer Best Price: Amazon or Ebay? How to use Tango SLK-06 emulator to program Toyota H all keys lost? Tubular key cutting: Done by SEC-E9 key machine!